In modern information network aggregation, optical fiber communication occupies a dominant position. With the increasingly extensive coverage of the network and the continuous increase of communication capacity, the upgrade of communication link is also an inevitable development. 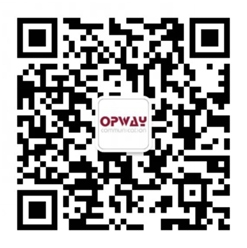 Optical module realizes the conversion of optical signals in optical communication network and is one of the main components of optical fiber communication.But, we usually say the optical module, so, what are the parameters of the optical module?You know what?In this article, Opway will give you a detailed introduction. After years of development, the packaging mode of optical modules has also undergone great changes, including 1X9, SFF, GBIC, SFP, XFP, Xenpak, X2, 200/3000pin, XPAK, SFP+, QSFP+, CFP, CFP2, QSFP28, SFP28, QSFP-DD, SFP-DD, OSFP, etc.There are also different protocol standards for data rate according to the applications, such as Ethernet, SDH, SONET, Fiber Channel, CPRI/OBSAI, etc. Take Ethernet for example, which supports transmission rate of optical modules from 10Mb, 100Mb, Gigabit, 10G, 40G, 100G, 200G or even 400G. 1) 850nm (MM, multi-mode, low cost but short transmission distance; generally, only 500m can be transmitted. 3) 1550nm (SM, single mode, small loss but large dispersion in the transmission process, generally used for long-distance transmission over 40km, with the longest distance transmission being 120km without relay. Transmission distance refers to the distance that the optical signal can be transmitted directly without relay amplification, unit kilometer (also known as kilometer, km). Taking 10G optical module as an example, it generally has the following specifications: multimode 550m, single-mode 10km, 20km, 40km, 80km and 120km. Both mainly affect the transmission distance of the optical module. In general, the 1310nm optical module calculates link loss at 0.35dBm/km, and the 1550nm optical module calculates link loss at 0.22dBm/km. These two parameters are mainly used to define the transmission distance of the product. Optical modules with different wavelength, transmission rate and transmission distance have different optical transmission power and receiving sensitivity. The most commonly used with VCSEL, FP and DFB laser, such as semiconductor material and cavity structure is different, VCSEL laser used for multimode short distance transmission, generally used for the transmission distance and FP laser light module within 40 km, DFB laser is relatively expensive, more light module for transmission distance is greater than 40 km. There are usually interfaces like MPO,LC,LC,FC,ST, etc. SFP optical modules are mostly LC interfaces, while GBIC optical modules are SC interfaces. MPO interfaces are generally used for multimodes above 40G. Working temperature: commercial grade (0 ~ + 70 ℃);Industrial-grade: - 45 ~ + 80 ℃);Working voltage: 3.3v;Working level: TTL. The above introduction can be said to summarize the main parameters of the optical module, do you understand?